In this installment, we’ll drill down a little more deeply and find out a little more about why respondents awarded the Customer Satisfaction scores they did. 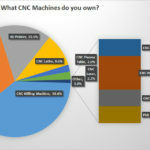 What Features are Most Important to CNC Router Users? #1: Accuracy: Precision, accuracy, and repeatability were all frequently mentioned. The Carbide 3D / Shapeoko machines were #1 in this category. #2: Quality: Users favor machines that are rugged, rigid, and generally of higher quality. Carbide 3D / Shapeoko machines were #1 in this category. #3: Value: Users complimented machines they felt were a good value. Carbide 3D / Shapeoko machines were #1 in this category. #4: Ease of Use: Ease of Use, most due to the software / controller used by the machine were very important. Carbide 3D / Shapeoko machines were #1 in this category. #5: Performance: Performance and speed were frequent mentions. Carbide 3D / Shapeoko machines were #1 in this category. #6: Support: Support, training and good documentation were all important. Carbide 3D / Shapeoko machines were #1 in this category. #7: Size: Size of the work area was mentioned. Carbide 3D / Shapeoko machines were #1 in this category. #8: Customizable: The ability to customize the machine because it has an open platform, is easily hackable, or just because it has a lot of options available were all important to our respondents. This category was a 3 way tie between Inventables, CNC Router Parts, and Carbide 3D / Shapeoko. Carbide 3D / Shapeoko was #1 in 7 of the 8 categories. It’s no wonder they score so well on Customer Satisfaction! 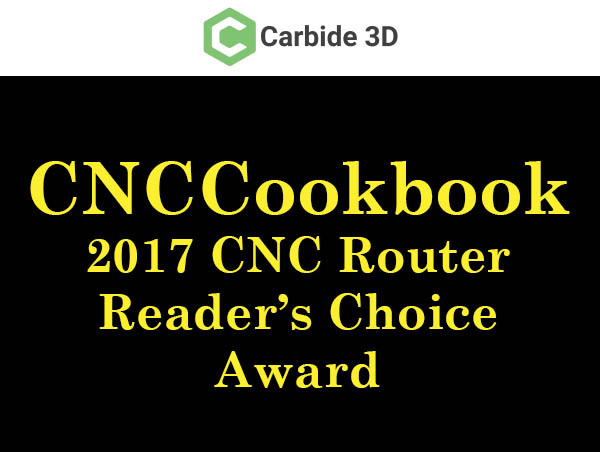 Given how Carbide3D nearly swept all the major customer satisfaction dimensions as #1, we felt it only fitting to award them the 2017 Reader’s Choice Award for CNC Routers. Congratulations, guys, and keep up the good work! I am really hard pressed to believe these results: It’s like you got “carpet bombed” (or whatever the phrase is) by Carbide 3D’s Shapeoko owners. 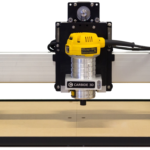 Quality, Performance, or Size, are not attributes I would tie to the Shapeoko. 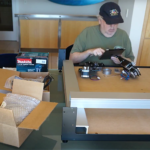 Watching review videos on line I would put Shapeoko’s rigidity near the bottom of the list. Same with “Performance”: Being limited to small pass depths and step-over settings using a small trim router increases overall cutting time to double or triple that of a beefier machine. Size may be a matter of choice — I have a “table top” CNC because that’s all that will fit in my 10x12ft shop. ;-( But my CNC is rock solid– if anything flexes, it’s going to be the building! And it will hold my 15lb 3-1/2hp PC router without flinching. With your customer base being 70% professionals, I’m surprised there weren’t more “big name” machines listed and 4’x8′ table size being the majority size. Rich, the Shapeoko’s are actually quite rigid for their size/category. Compared to the many others I’ve looked at, they have much beefier extrusions. In fact the subjective comments complained quite a lot about rigidity issues with various other machines. As far as the larger machines, Shopsabre, Shopbot, and Multicam all fared well on the survey. But, for this particular survey, 72% identified themselves as hobbyists. Bob: I finally thought of a parameter that we flexy-beasts could find useful. Hopefully it’s already there and I just couldn’t find it, so point in the right direction if it is. One of the major problems on these non-perfectly rigid machine is “nose dive” where “pushing” into the cut can have sometimes disastrous results: the push drives it down which drives up torque, slowing cutting more, all ending in a mess of melted material and an expensive endmill turned into a broken drill bit :-(. In calculating torque-range limited cutting parameters, I keep a close watch on the reported motor torque. But, I wonder if a more accurate measure would be the torque combined with the flute angle. Not as a rotational torque value, but as a vertical (dive/rise) force. Obvious fun-land glee would be had if we could characterize the “stiffness” (weight, material, etc.) and get an actual estimated deflection amount. But even without that, just getting a calculated vertical push/pull in pounds would be helpful. Any way to characterize the effect of a radiused end-mill on reducing that tendency to dive and embed? On a 1/4″ EM, adding 0.020 or 0.030 radius largely fixes the diving on my machine. Thom, this sort of behavior is best avoided by setting very conservative power limits on the spindle. If you’re running the weight adjusted spindle power limits, I can’t imagine you would have these dig in issues. Any dig in, which can be from machine rigidity, collets slipping, or similar factors, is going to shoot the power required up very suddenly. If you’re at all close to the limit, it bogs, digs in further, bugs further, and crashes pretty quickly. My concern is none of this is particularly linear or nicely behaved. You can pull a burr with a sharp edge and dig in too. The only real answer is stay well clear of the power limit on the spindle. This way there is plenty of reserve should it dig in the wrong way. BTW, dig in happens with backlash when climb cutting too. How were accuracy and quality determined? Was this a subjective survey? 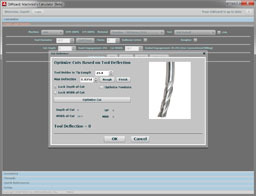 For things like accuracy, I would want to see the exact same 3D file, even better if the same batch of multiple types of 3D files, machined in the same material in all products with the same style/material milling bit that are part of the analysis and have dimensions and surface finish measured…perhaps throwing in time required to complete machining process as a tiebreaker. Same with Quality, in your terms this meaning rugged, rigid, tough. How was this determined? Was each machine ran to the point of catastrophic failure? …or perhaps each machine was ran through some point load/deflection tests? Another suggestion would be to move each axis back and forth to the limits or some other target point measuring the stop point with a dial indicator ~100 times to check for consistency. I really don’t mean to be a jerk here, but I’m not making a purchase decision based on what I’m reading. If the above data was based on subjective responses from various owners and not meat-and-potatoes standard test methods, it isn’t saying much. If you do have data such as the above to support the claims made, I’d love to see it because I am interested in eventually purchasing a CNC router if convinced of their capability, otherwise I’ll save up and just go straight to something like a Tormach, which is understandably in a different class and cost from what you are trying to analyze. Thanks! Chris, its entirely subjective. These are not reviews, they’re survey results. Do they matter? Boy, I sure think so. I always try to get a measure of which products are most popular and what their users think of them before making an important purchase decision. Same thing happening here. It’s not my only criteria at all, but in the Internet Age where opinions can reach around the world, it matters and is more reliable than ever before as an indicator. BTW, depending on what you want to do, you probably should save for a Tormach. Although given the price difference, you could have a whole lot of fun with a Shapeoko and probably sell it for much of what you paid before you could save enough for the Tormach. Plus, you’d have learned a lot of things that will be useful for the Tormach on a cheap machine while you save. 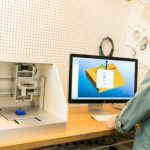 Shame not to see Othermill represented here. It’s by far the easiest to use CNC mill out there. All other mills I’ve tried, even the Nomad 883 I own, have relatively clunky user interfaces and industrial design and are not intuitive to use for beginners. I like the Othermill and they even came out to my house for an interview. Unfortunately, just not enough of them out there who participated in the survey. I will say that it is a much lighterweight smaller envelope machine than the Shapeokos. What concerns me is that you and Carbide 3D love the same color of green. My nepotism alarms went off. Not that I don’t believe the results. My Shapeoko arrived in the mail yesterday. I bought it for all the reasons that got it to the top of the list this year and when I’m included in the survey next year the scores will be that much more skewed. I have had contact with their customer service ( a shipping issue) and their response was so extreme that I won’t share the details because it would be impossible to maintain that level of service. Just be assured that whatever good things you’ve heard, it’s actually GREAT. Same color of green? LOL! Here’s a funny story. I must’ve tested 30-40 different colors before settling on that green a long time before Carbide3D was ever founded. I wanted to do the side in bright red originally (I’m a car guy), but the green just got more sales. Maybe Carbide3D did their own tests with similar results? Somehow, I always associated them with yellow due to the Shapeoko photos, not the green. Now that you bring it up, I see what you mean though.